China Spring water Premium quality sintered activated carbon block Water Filters designed and engineered to be compatible with all standard water purifiers on the market. 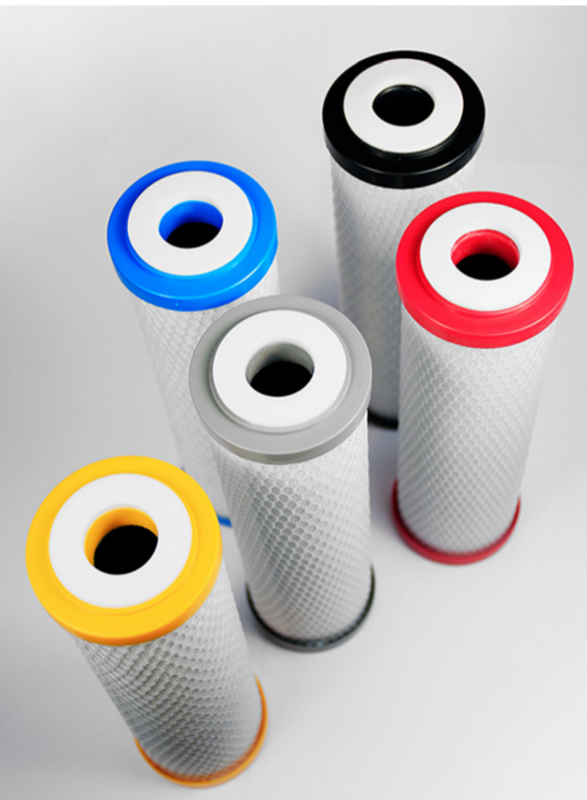 Our filters have been proved to improve the water quality by removing the impurities impurities: chlorine, calcium, bad tastes and odors. The quality has been guaranteed and certified by USA NSF42 and ROHS standard. a] 0.5.1.5 and 10 um nominal filtration, high dirt holding capacity. b] Excellently remove chlorine.taste.odor and VOCs, etc. c] Excellently remove chlorine.taste.odor and VOCs, etc. d] Exceptionally low pressure drop. e] No release of Caron fines. f] Proprietary manufacturing processes, quality is guaranteed. g] Competitively priced vs. extrude carbon block. b] Certified by NSF42 for materials requirements. Binder: Celanese NSF certified UHMW-PE molecular weight>1,500,000. a] Specializes in Custom Carbon Blocks offering OEM clients endless filtration solutions. b] Wide range of OD.ID and Length Dimensions. c] Custom shapes, dare to imagine. Looking for ideal CTO Activated Carbon Block Manufacturer & supplier ? We have a wide selection at great prices to help you get creative. All the Michigan Water Purification are quality guaranteed. We are China Origin Factory of Residential Activated Carbon Block. If you have any question, please feel free to contact us.